The “release” of Sarath Fonseka Former Army commander and erstwhile contender for the 2010 Presidential stakes from jail due to remission of his prison sentences by President Mahinda Rajapaksa has infused fresh excitement into the Sri Lankan Political scenario. Vociferous discussions are on about the pros and cons of this event and various theories are afloat as to why the President chose to act in this manner at this juncture. Speculation is also rife about the political course likely to be followed by Sarath Fonseka. Whatever the nature and course of this speculative debate there is little doubt that very little love has been lost between the Rajapaksas and Fonseka. The current “turn” is only another episode in the ongoing political feud among the sturdy sons of Ruhunu hailing from beyond the Bentara river. Instead of focusing specifically on the current situation at this point of time this column would like to wander down memory lane a bit and trace the genesis of this crisis with particular emphasis on two vital elements central to the narrative. Firstly the underlying causes behind the deterioration of relations between the Rajapaksas and Fonseka and secondly the creeping politicisation of the military in Sri Lanka. It was these two reasons which led to the situation of Sarath Fonseka challenging Mahinda Rajapaksa for the presidency in 2010. Subsequent events affecting Fonseka have a direct link to this act of political defiance. The current “release” is only a twist in this dramatic political drama. It is also important to recognise that the Fonseka phenomenon is only the outcome of a long drawn out process through which the military has been gradually politicised. Fonseka is a creature of this creeping politisation of the military. 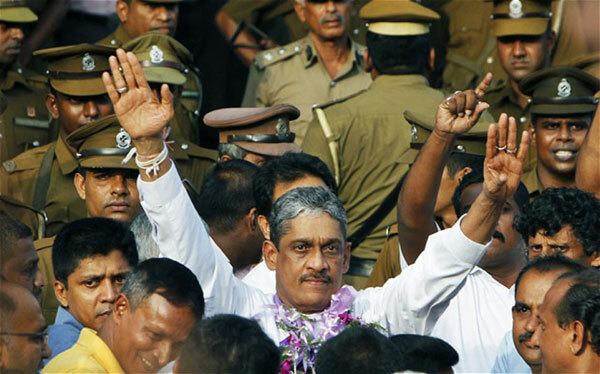 There is no doubt that there is a groundswell of sympathy for Sarath Fonseka on account of his incarceration. Rightly or wrongly the ex-army chief is perceived by many as having been victimised. This perception however should not prevent the spotlight being turned on events that had transpired earlier where the conduct of Fonseka made profound impact and has had a bearing on the present situation. The present scenario of Fonseka being regarded as the primary political foe of the Rajapaksa regime is a result of two developments. One was the deteriorating relationship between the Rajapaksas and Fonseka. The other is the ongoing politicisation of the military. Both developments converged in the form of the Fonseka phenomenon. Against this backdrop the future direction of Sri Lankan politics is extremely uncertain and difficult to predict.It is however essential to delve deep into the recent past to understand the rapidly flowing political currents, cross currents and undercurrents. This column drawing substantially from past writings will engage in a brief re-run of events preceding the defining moment of the 2010 Presidential poll. It was in May 2009 that the Liberation Tigers of Tamil Eelam(LTTE)met its waterloo by the waters of Nandhikkadal lagoon, the lion’s share of credit for the victory against the tigers was apportioned to a triad at the helm. The triumvirate comprising President Mahinda Rajapaksa, Defence secretary Gotabaya Rajapaksa and Army chief Sarath Fonseka was hailed for providing political, administrative and military leadership respectively in the triumphant war against the Tigers. Barely six months later this triumphant triumvirate lay fractured as Lt. Gen Sarath Fonseka crossed swords with the other two in a bitter, divisive political battle fought fiercely. It was as if Bernard Montgomery had contested against Winston Churchill after World war two or Sam Manekshaw competed with Indira Gandhi after the Bangladesh war! Mahinda Rajapaksa was elected executive president on November 18th 2005. Despite being elected through an enforced boycott by the tigers it soon became apparent that Medamulana and Valvettithurai were on a collision course. President Rajapaksa made two crucial appointments at the onset of his presidency in anticipation of a savage war with the LTTE. One was to make his younger sibling Gotabaya Rajapaksa Defence secretary. The other was to appoint Sarath Fonseka as Army commander and extend his tenure. Gotabaya an old soldier himself held Lt. Colonel rank when he quit the army in 1991 and migrated to the United States of America. Although a US citizen Gotabaya returned to serve his brother and country with a missionary zeal. His objective was to defeat and destroy the LTTE and rid Sri Lanka of a menace plaguing it for decades. It was at Gotabaya’s behest that Sarath Fonseka was made army chief. He was scheduled to retire as he would have reached the mandatory age 55 on December 6th 2005. But Gotabaya persuaded his brother to make Sarath army chief because Fonseka was the best man to lead the army at that point of time. The serving commander Maj-Gen Shantha Kottegoda was sent to Brazil as ambassador and Fonseka brought in. Thereafter his term was extended each year in December. There is unanimous opinion that Sarath Fonseka is a tough soldier and astute commander. He is a man of tremendous courage and remarkable military acumen. But there were other aspects to his character and military record that negated his prospects of being Army commander earlier. Chief among them was an inflated ego of gigantic proportions. This resulted in a lot of friction earlier between Fonseka and his contemporaries. The long standing rivalry between Fonseka and his Naval counterpart Wasantha Karannagoda was legendary. So too was the intra-army strife with another top notch soldier Maj-Gen Janaka Perera. There was also Fonseka’s colossal arrogance. He fancied himself as a combination of Hannibal, Alexander, Julius Caesar, Napoleon & Rommel.In Sarath Fonseka’s self-perception he was Sri Lanka’s greatest military treasure and all glory was due to him alone. It was the “I, me., myself alone” syndrome. Most contemporary officers resented the cantankerous bullying and crowing of Sarath Fonseka. They admired him as a professional but disliked him at a personal level. But Fonseka was highly popular among the rank and file. He always looked after their welfare and earned their respect and regard. There were also other ignoble traits.As a hawkish soldier his human rights record was abysmal. In 1990 for example there were large scale massacres of Tamil youths in the Amparai district which was under his command.Even recently Fonseka’s hand was suspected in some attacks on journalists. Sarath Fonseka like Janaka Perera had been “fingered” in many reports by reputed Human rights organisations as well as those by Commissions of Inquiry. Though they hated each other Janaka and Sarath were both in the same boat. Both President Chandrika Kumaratunga and Prime Minister Ranil Wickremasinghe at different times were reluctant to appoint them earlier as army commanders. Despite their positive military credentials their negative attributes stood in the way of achieving highest military office. Another reason contributing to this was the suspicion and fear about ulterior motives. There was paranoia (unfair perhaps) that Sarath and Janaka could bring about a coup d’etat. This is a perpetual concern of successive regimes since the 1962 abortive coup. For all these reasons, Sarath Fonseka was denied what he felt was his rightful place as Army commander. It was said that President Rajapaksa was also reluctant to appoint Sarath but Gotabaya got his brother to go ahead . Apparently the President relied on his brother’s guarantee that Sarath would be “managed” by him (Gota). This was how Sarath became Army chief. After the first year Mahinda wanted to let Sarath go but again Gotabhaya intervened and stayed his brother’s hand. In the early stages Gotabhaya evolved a satisfactory working relationship with Sarath and set the military juggernaut rolling forward. Both had a lot in common as they were fellow Anandians and more or less of the same age. Sarath got into the army as part of the third intake while Gotabhaya was of the fourth intake. They served together in crucial battlefronts like that of Vadamaratchy in 1987. Both played a role in the “midnight express” evacuation exercise of Jaffna Fort in 1990. Sarath was Colonel and Gotabaya Lt. Colonel when the latter quit the army. Another bond between both was their common intention of destroying the LTTE. The reverse of this was that the LTTE also was determined to kill both as the tigers realised that the death of this duo would cripple the war effort beyond redemption. Sarath Fonseka was seriously injured in a woman suicide bomber attempt within army headquarters but miraculously survived and bounced back in what was perhaps a medical marvel. This was another revelation of the man’s grit and stamina. There was a near successful attempt on Gotabhaya too when a three- wheeler exploded near his convoy at the “Pithala” junction on Greenpath. Gotabhaya was not injured but again escaped death by a hair’s breadth. The fact that both survived LTTE attempts to kill them drew them closer and strengthened their resolve to fight the war to the finish. Initially there was a lot of camaraderie between both. The war progressed and the nation as well as world at large witnessed the LTTE being slowly driven back and the armed forces advancing. But the Sarath- Gotabhaya equation was getting strained. According to defence establishment insiders the greater share of blame for this was Sarath’s. There was a time when a uniformed Gotabaya saluted his superior officer Sarath Fonseka. Now Gotabaya was in civils but entitled to salutes from Sarath as Defence secretary. Though Sarath saluted Gotabaya and addressed him as “sir” in public, the egoistic Fonseka had been unhappy at this turnabout. To the average military officer anyone in “civvy street” was an object of contempt. This was so in the case of Sarath who was now perceiving Gotabhaya as a civilian boss. Gotabhaya to his credit did not play “soldier” and indulge in antics like Anuruddha Ratwatte . He conducted himself as a civilian in authority refusing to wear uniform or be made “General”. Nevertheless there were several instances of Sarath Fonseka shooting his mouth off about how galling it was for himself to salute Gotabaya his junior in the army. Given the penchant for tale-carrying in Sri Lanka these comments were duly conveyed to Gotabaya. But Gotabaya stomached them and continued to work with Sarath as he felt that Fonseka was the best person to prosecute the war with the LTTE. It must be remembered that Gotabhaya was a man with a mission and was prepared to sup with even the devil till “mission accomplished”. There is no doubt that ultimately war’s are won on the actual battlefield and that the role of the infantry is crucial at decisive stages but the problem with Sarath Fonseka was that he regarded the army and the army alone as being pivotal and the sole repository of all kudos. In this there was something puerile in Fonseka. Unfortunately the power he wielded made him an “enfant terrible”. There was much inter-service strife. So great was the animosity against the Army commander and by extension the army that it required herculean efforts to get the Navy and Air Force cooperate with the army. 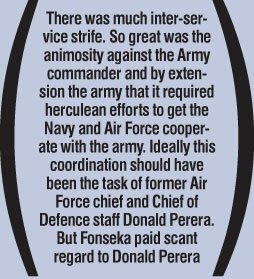 Ideally this coordination should have been the task of former Air Force chief and Chief of Defence staff Donald Perera. But Fonseka paid scant regard to Donald Perera. It was therefore the onerous duty of Gotabaya to manage tensions and coordinate matters when the war was on. He liaised between the Army and navy and Army and Air Force. He smoothed ruffled feelings and secured the cooperation of all. Fonseka and Karannagoda the navy chief were not on speaking terms. Relations were rather strained though not ruptured between Air force chief Gunatilleke and Fonseka. The Navy had played an important role by destroying many LTTE ships and interdicting supplies to the tigers. The naval cordon too had been very effective curtailing sea tiger movement to a very great extent. Likewise the Air Force had conducted several successful strikes on LTTE installations demolishing many tiger arms dumps. The aerial attack that killed LTTE political commissar Suppiah Paramu Thamilselvan was a significant achievement. But all these were apparently not acknowledged by Fonseka in discussions within the corridors of power. Discussions like those of the National Security council were turned into colleague haranguing monologues by Sarath Fonseka. Still Gotabaya managed to keep the war going by deftly striking a balance among all three services. Both Mahinda and Gotabaya treated Sarath as a “prima donna” throwing occasional tantrums. As far as Sarath Fonseka was concerned he went on like a spoiled brat causing havoc. A latter day Dennis the menace! Gotabhaya was alike to a tolerant mother cleaning up the mess made by her recalcitrant child. There was also Sarath’s selfishness that created a lot of heartburn within the Army too. Sarath Fonseka departed from tradition by withholding promotions and transferring officers whom the army chief regarded as not being efficient or up to the mark. In a noteworthy deviation from accepted norms several junior officers who proved themselves in battle were given rapid promotions. Fonseka justified these actions as promoting the “strong” and penalising the “weak” in the army so that the force could be transformed into a formidable fighting machine. This unorthodox approach was rather successful in extracting frontline results and had the support of Gotabaya in principle. But the downside of this was growing discontentment against Fonseka among many officers. Several officers were deprived of rightful promotions and sullenly harboured resentment. Again it was Gotabaya’s lot to soothe hurt feelings. These feelings were exacerbated by the naked favouritism displayed by Fonseka towards certain officers and unconcealed antipathy towards some others. For instance Parakrama Pannipitiya the “conqueror” of the east was transferred and then removed from his post despite his military triumph. This was simply because he had fallen foul of Fonseka. Pannipitiya was treated very shabbily and denied security. He had to go to Courts to get it restored. Later Pannipitiya was “framed” on a frivolous treasure hunt charge and penalised. He was restored to grace after Fonseka’s fall from grace. On the other hand blue-eyed boys of Fonseka like Samantha Sooriyabandara were not subjected to penalties in spite of an abysmal military record as 53 division commander. Sooriyabandara suffered many reversals in his ill-fated attempts to break through LTTE defences along the Mhamaalai axis but was not axed. Eventually he got a plum assignment as defence attaché to the Washington embassy. The growing disenchantment within military officers towards the conduct of Sarath Fonseka was best encapsulated in a pithy comment attributed to battle-hardened General Sumith Rajaguru. “If we go to the front there is Johnny and if we fall back there is Fonny”. Johnny refers to the LTTE’s anti-personnel mine and Fonny of course is Fonseka. A glaring illustration of Fonseka’s tendency for self-aggrandisement on the one hand and denying honours to subordinate-colleagues was visible in 2007 when the Vishista Seva Vibushanaya (VSV) awards were conferred. The VSV is regarded as equivalent to the Distinguished Service order. In the case of the Army all officers above Lt.Col rank with 30 years of unblemished service were eligible for this. Incidentally Sarath Fonseka who completed 30 years in 2000 was yet to be awarded a VSV due to perhaps the operative requirement “unblemished”. What the Army chief did in 2007 was to refrain from recommending any serving officer other than himself for the VSV. He also proposed that only retired or serving army commanders be given the VSV. To his credit Gotabaya disagreed. Regulations forbade the recommendations of the army commander being disregarded in the case of serving officers. But the Defence secretary ensured that 11 retired army officers got the VSV. This infuriated Fonseka. Irritants between Sarath and Gotabaya were not restricted within the defence establishment alone. Sarath Fonseka in media interviews would drop very heavy bricks causing adverse fall-out. On one occasion he called Tamil Nadu politicians “jokers in the pay of the LTTE”. When New Delhi remonstrated Fonseka was asked to issue an apology. He refused. It was left to Gotabaya to patch up by issuing an apology for no fault of his own. Then there was the infamous interview given to the Canadian newspaper “National Post”. Fonseka said Sri Lanka belonged to the majority Sinhalese and that the minorities can stay but have no say.He was asked to do some damage control by clarifying matters in another interview to a state controlled newspaper. In that he was even worse, saying the minority communities could not make “undue demands” like federalism. Sarath Fonseka’s “attitude” was resented but accommodated because he was considered crucially important to the war effort. He was humoured greatly but when the war ended and Fonseka was perceived as exceeding his limits the Rajapaksa regime came down heavily on him. This situation was compounded by paranoia on the one hand and pique on the other. Sarath Fonseka had been regularly boasting about his prowess in prosecuting the war successfully as the battles were in progress.He saw himself as a latter day Dutu Gemunu and even had at one stage a picture of Gemunu on an elephant before whom a cowering Elara was kneeling. A foreign journalist who saw this “art” said that the face of Gemunu resembled Sarath. When Fonseka went on beating his “Rohana” drum, the Rajapaksas were annoyed but tolerated him till the task was done. He was also allowed to derive popularity mileage due to the war. Even President Rajapaksa basked in reflected glory with some posters showing Mahinda and Sarath marching together towards victory. But the president was growing increasingly insecure about Sarath’s growing popularity among the people. This was akin to Ranasinghe Premadasa’s resentment and fear over Denzil Kobbekaduwe. But Rajapaksa was confident that brother Gotabaya would not let things get out of hand. On the other hand Fonseka was resenting the fact that he had to “share” popularity gained through war victories with the president and government. For example he was irritated by the delay in announcing the fall of Sampoor in order to coincide with the SLFP convention. Fonseka was openly critical of politicians and politics and referred to them derisively. This resentment on the part of Fonseka to the President getting praised for war victories was manifested during the demise of Velupillai Prabhakaran. The president who was abroad at the time was misinformed that the LTTE leader was no more on May 16th. A jubilant Rajapaksa returned on 17th and kissed the tarmac in an exhibition of patriotic glee. He learnt later that Prabhakaran was not yet reported dead but was very likely to be encircled and finished off very soon. An address to the nation was scheduled by the president for the morning of May 19th to announce the tiger supremo’s death. But to Mahinda’s chagrin Fonseka refused to confirm the death and the president’s anticipated announcement did not materialise. But after the presidential address was concluded the Army chief announced to the nation that Prabhakaran had been killed. Sarath Fonseka and not Mahinda Rajapaksa made the historic announcement. This heralded the floodgates opening for waters of resentment in Rajapaksa ranks to flow towards Fonseka. The army chief aggravated the situation by glorifying himself as the sole cause for victory. The contribution of other officers, other defence services, the defence secretary and President were overlooked or ignored. Several newspaper articles singing paeans of praise to Sarath Fonseka began appearing in the media. Victory celebrations extolled the martial virtues of Sarath. Fonseka blew his own trumpet lustily in media interviews. 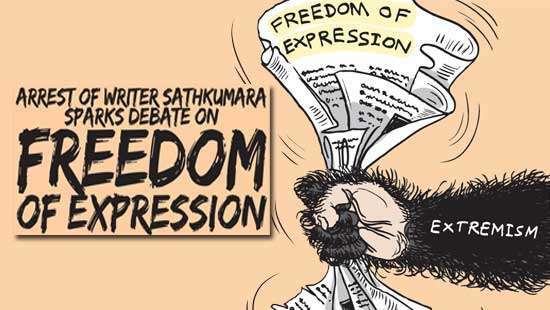 Media persons close to Sarath wrote books giving too much credit to the army chief. The president and defence secretary were eclipsed. While the role played by Sarath Fonseka in the war is certainly praiseworthy the part played by Gotabaya also deserves much credit. It was he who planned out the military strategy and implemented it by coordinating and directing the entire military effort. He was the lynchpin that linked the defence establishment with the political executive. Gotabaya secured military assistance from diverse sources and channelled them productively. He, Basil Rajapaksa and Lalith Weeratunge were responsible for winning over India. The full cooperation of the armed forces were secured by Gotabaya despite the stumbling blocks placed by Sarath Fonseka. Likewise President Rajapaksa provided leadership at a very high level. He fully backed the war effort resisting tremendous pressure from powerful quarters to call off the war. He stood resolutely against mounting international criticism about how the war was being conducted. The president gave a free hand and unlimited support to the armed forces to finish the job. Under these circumstances President Rajapaksa also deserved praise for the war success. Besides President Rajapaksa was relying heavily on war victory euphoria to gain victories in the political arena. 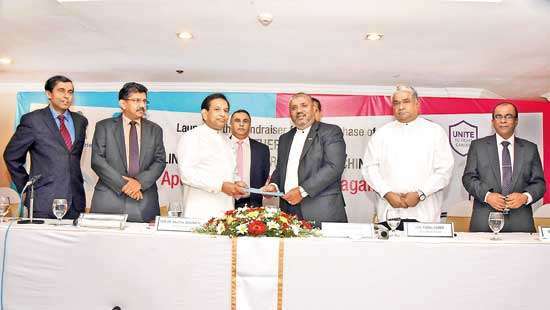 Fonseka’s attempt to hog all credit impacted on these plans. Another evolving divergence was about re-settlement of Wanni IDP’s. President Rajapaksa had given assurances to the UN,IMF , western nations and India on this account and had obtained aid from the IMF predicated on these guarantees. But the hawkish Fonseka was of a different opinion. He wanted prolonged detention of IDPs to identify and eradicate tigers masquerading as civilians. Fonseka also wanted the army’s strength to be increased to 300,000 and at least 100,000 deployed in the Wanni. He had elaborate plans of settling army families in cantonments in the Wanni thereby changing the demography in the north. Fonseka had once stated in an interview about attacks from “Tamils” during his childhood in Amparai district. For him the war was not over. There was also a perceived shift in Sarath Fonseka’s outlook. The adulation received from the masses was affecting him. From being a person who spurned politics and ridiculed politicians the army chief began hinting at a political role for him in the future. He was also critical of sycophantic attempts to project Mahinda as the great emperor who won the war and saved the country. As far as Sarath was concerned it was he and not Mahinda who won the war and saved the country. As news of this changed attitude was conveyed to the Rajapaksa brothers the alarm bells started ringing. A real or imaginary threat to the president’s political fortunes was perceived. At least three separate intelligence reports were officially and unofficially commissioned. The essence of these reports stated that Fonseka was nursing political ambitions and that he enjoyed equal if not more popularity among the masses than Mahinda Rajapaksa himself. There was thus a re-alignment within the triumvirate. The Rajapaksa brothers saw an emerging threat in Sarath Fonseka. On the one hand Mahinda saw Sarath as someone who could usurp his political leadership. On the other Gotabaya was miffed by the crudely blatant efforts of Fonseka to deny the important role played by the defence secretary. The Rajapaksa regime that mollycoddled Sarath Fonseka and tolerated all his past idiosyncrasies and foibles was no longer prepared to do so. There came a rule by the defence secy that no service chief could give media interviews without permission or monitoring. This effectively restricted the media monopoly of Fonseka. Then came a swift transformation of public posters. The earlier ones with Mahinda and Sarath gave way to new ones with Mahinda, Gotabaya and Basil. The old trinity was replaced with the new one based on blood ties. There also continued various irritants between the Rajapaksa’s and Fonseka. Some of the noteworthy ones included the one where first Lady Shiranthi Rajapaksa and elder son Namal were stopped by the army on a journey to the north and were delayed unduly for hours. This was seen as being done at the behest of Fonseka himself. On July 9th 2009 Fonseka spoke at a book launch about the war in which he heaped compliments upon himself lavishly. Token lip service was paid to the President’s role. Gotabaya was virtually ignored. According to Sarath he and he alone had won the war with the President’s support. It was a one-man show. This implied that Sarath and not Mahinda was the saviour of the nation. Another incident was the felicitation ceremony at Dharmasoka College , Ambalangoda on July 10th. All traffic was stopped along the Galle road for hours. There were massive security arrangements made arbitrarily by Sarath’s security personnel causing much hardship to people. Sarath waxed eloquent about his role in winning the war alone to an appreciative “home” audience. In the process he shot himself in the foot by allegedly admitting that tigers who surrendered with white flags were shot dead in cold blood. There were increasing signs that Sarath and his merrymen in the army were becoming a law unto themselves. It was as if a parallel authority was being exercised by Fonseka in certain spheres. At one point five journalists who sang Fonseka’s praises in their respective media organs were granted special protection by the army chief. The reason given was that there was a threat to their lives from the Naval chief Wasantha Karannagoda’s men. Another high-handed incident was the one in which military officials acting under the orders of Fonseka arrested the aide de camp of Jagath Jayasuriya the present army chief. There was even a move to arrest Jayasuriya too but that was thwarted. In the meantime developments in far off Honduras were impacting on Sri Lanka. Manuel Zelaya the Honduran president was planning a referendum aimed at extending his term of office in a roundabout way. The Courts rejected the referendum proposal but Zelaya in an act of defiance went ahead and ordered the army to begin distributing ballot papers. The Army chief Gen.Romeo Vásquez Velazquez refused to do so. President Zelaya then sacked Velazquez and went ahead with his plans. On June 28th Velasquez staged a military coup. Zelaya was arrested and packed off to neighbouring Costa Rica. News of this Honduran coup rattled the powers that be and a state controlled newspaper in Colombo gave a lot of prominence to the event. Shortly after this coup a friendly country passed an intelligence tip that a military coup was possible in Sri Lanka too. The friendly country suggested that the army chief could enact a coup d’etat with the backing of another country. Both countries concerned were sworn enemies but were friendly towards Sri Lanka. It was against this backdrop that the government acted. Fonseka was urgently summoned on July 12th and given three days to bow out as army chief and take over as Chief of Defence staff(CDS). The CDS post had been in existence for decades but in recent times the powers were revamped. As the seniormost service chief Karannagoda was to succeed Donald Perera but Fonseka who regarded the navy chief as his “bete noire” objected vehemently and wanted it himself. This was granted but Fonseka wanted to take up that position only after the ceremonial functions of the Army’s 60th anniversary were over as Fonseka wanted to be army chief at that time.Another reason for procrastinating was that Fonseka was unhappy about the CDS having to report to the defence secy and not the president. He was seeking an amendment on that count. But suddenly Fonseka’s world went crashing down. He was summoned and given an ultimatum. Reluctantly Fonseka submitted and relinquished his army chief post and became CDS. His request that his close associate Gen. Chandrasiri be made Army chief was rejected. The Rajapaksa’s were in no mood to appoint someone close to Fonseka. Instead Jayasoriya ranking 9th in seniority was appointed army chief. Thereafter Fonseka found himself being undermined systematically. 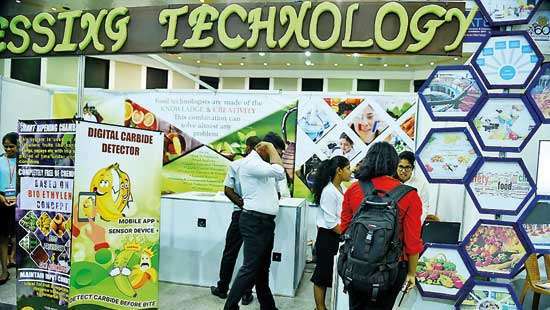 Exhibits pertaining to him were removed at the army exhibition. His address at the 60th anniversary function was blacked out in the state and significant sections of the non-state media. In another development cabinet ministers and non-cabinet ministers started attacking Fonseka indirectly. He was implicitly criticised for having political ambition. There was also constant paranoia that a coup was being planned. There was also suspicion that Fonseka was engaged in negotiations with opposition parties though a journalist emissary. While all this controversy was raging Fonseka himself kept silent holding his cards close to his chest. This itself amounted to making a virtue out of necessity as Fonseka could not make public statements without permission while in the service. But the divide became very visible when Sarath Fonseka visited the US in October 2009 to renew his green card. When Fonseka informed Colombo about a potential interview with US dept. of homeland security there was widespread panic resulting in Foreign minister Bogollagama staging a press conference to protest. This indicated very clearly the breakdown in relations between the governmed and its ex-army chief. After Fonseka’s return to the country speculation increased that he would quit the army soon and enter politics by contesting against Mahinda Rajapaksa if a presidential poll was held. On November 6th 2009 Sarath Fonseka met with Ranil Wickremesinghe, Rauff Hakeem, Mano Ganesan and Mangala Samaraweera. It is believed that a decision was arrived at then for these parties to support Fonseka but no one has explicitly confirmed or denied it. On Wednesday November 11th 2009 the commander-in-chief of the armed forces had a one to one meeting with his erstwhile Army chief at “Temple Trees”. In a candid conversation Fonseka told the president that due to “erosion of trust and confidence” he was compelled to quit. President Rajapaksa responded by saying that Fonseka’s resignation would be accepted promptly if and when submitted. Gen .Sarath Fonseka then submitted his resignation coming into effect from December 1st to Presidential secretary Lalith Weeratunga at 1.30 pm on Thursday November 12th. The three-page letter outlining 17 reasons for quitting was promptly accepted as President Mahinda Rajapaksa had given clear instructions that the resignation should be accepted if and when Fonseka submitted it. Then came the Presidential election. Fonseka was the common candidate of opposition parties like the UNP, JVP, SLMC, DPF and SLFP (M). Fonseka also signed a memorandum of understanding with TNA leader Rajavarothayam Sampanthan that helped garner Tamil voter support. The showdown at the Presidential elections was the result of brewing discontent between the Rajapaksas and Fonseka over a long period of time. While these tensions were managed and contained during the war they exploded openly after the war victory. In a sense the strife was all about who deserves the greater credit and reward for fighting and winning the war. The publicised Presidential election results stated that Rajapaksa had defeated Fonseka. Then emerged the tale of a possible coup d’etat. This was followed by the undignified arrest of Sarath Fonseka and protracted imprisonment under various ways and means. Now he has been released but still undergoes trial in another case. Essentially the Rajapaksa-Fonseka feud was a personality clash devoid of differences in principle or policy. Extreme paranoia, seething passions, jealousy, vengeful thinking and wounded pride exacerbated the situation. Attempts by one side to put down perceived political challenges and efforts by the other side to counter them created a situation where diametrically opposite forces reconfigured themselves as political bedfellows. There was lamentable absence of firm policy and a complete abandoning of principle. A no holds barred political expediency seemed to be the order of the day. This tug of war has now reached another phase with Fonseka’s release. On another level the current situation is also the culmination of a long process of militarisation of Sri Lankan society and a gradual politicisation of the military. There has been a creeping militarisation that has eroded civic, democratic values. The military was afforded an unhealthy paramountcy over the years. Despite denials the politicization of the military is along with a militarization of politics albeit to a lesser extent. Communist party stalwart and cabinet minister DEW Gunasekera referred to this process explicitly while addressing a seminar in Jaffna on Jan 2nd 2010. “With the entry of General Fonseka to politics, a new element has been introduced to our spectrum of politics which will lead not only to militarization of politics but also politicization of the military”. While agreeing with DEW on the question of militarization of politics and vice versa this column disagrees with him about it being entirely due to Sarath Fonseka’s political entry. The process of our military being politicized has been going on for decades. The militarizing of politics too has been on to a lesser extent.The Fonseka phenomenon is the outcome of these processes.The entry of Sarath Fonseka into politics is arguably their logical culmination. Nevertheless Fonseka’s entry into politics has accelerated and expanded these processes in a way never seen before. It should be recognized that the twin processes of Politicisation of the military and militarisation of society and politics has to a certain extent become inevitable. Just as nature abhors a vacuum, “politics” cannot be avoided in certain spheres. But one would like some spheres to be kept “uncontaminated” by politics in the larger interests of the country. The armed services are institutions that should be “de-politicised” for the well-being of the nation. There have been structural changes and systematic developments over the past years that render the concept of the armed forces being immune from politics an impossible task.Even before the war escalated the politizisation of the military has been going on. The influence of the Army has been impacting heavily on Society and even re-shaping norms and values. The army has not only pervaded society but has become a very dominant force in society. We have witnessed the politicisation of military process and militarisation of political process proceeding steadily in the country. Both processes reached a controversial confluence in the form of Sarath Fonseka. The progressive politicisation of the military resulted in an Army chief throwing his “beret” in the ring of a presidential contest. The progressive militarisation of society and politics enabled the polity to be broadly receptive to the notion of a general invading electoral politics and challenging his former commander in chief politically. Sarath Fonseka therefore is the historic meeting point of these processes. He is the product and personification of these processes. At the same time his entry into politics has transformed the political environment in new directions. The politicisation of the military has gathered terrific momentum. The political fall-out of such phenomena will be with us for a long time. Sadly as a result of these developments the military gets mired in politics and politics gets mixed up with the military. But as stated before this unhealthy trend did not begin with the entry of Sarath Fonseka into politics. It will not end with him either. The Sarath Fonseka phenomenon therefore has to be seen as the logical outcome of this process of politicisation of the military. He is not the sole cause but only a significant consequence of this long process.